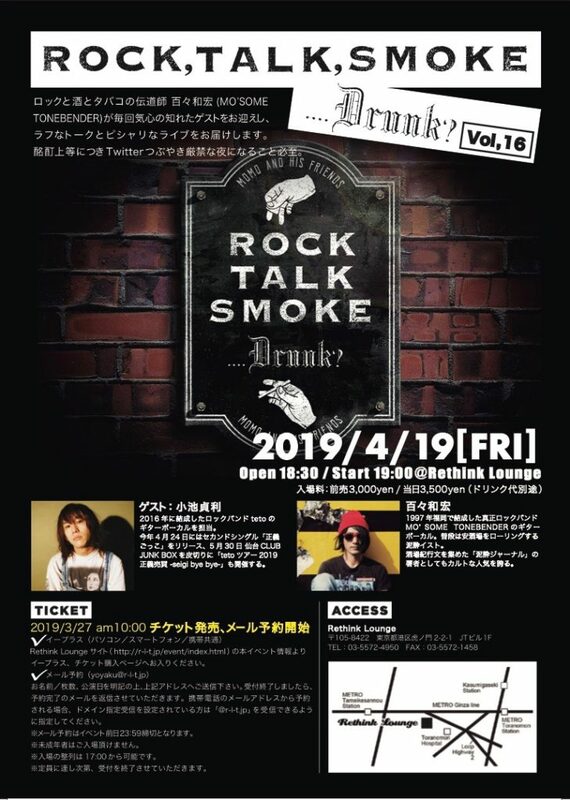 2019.04.19(金)　東京・Rethink Lounge TORANOMON『Rock, Talk, Smoke….Drunk? Vol,16』→　THANK YOU SOLD OUT!! THANK YOU SOLD OUT!! THANK YOU SOLD OUT!! THANK YOU SOLD OUT! !